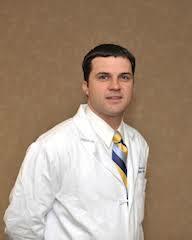 Doctor Bak is an Otolaryngologist who practices in Virginia. 1. Bak M, Wein RO. Esthesioneuroblastoma: A Contemporary Review of Diagnosis and Management. Hematol Oncol Clin North Am. 2012;26(6):1186-1207. 2. Bak MJ, Doerr TD. Craniomaxillofacial fractures during recreational baseball and softball. J Oral Maxillofac Surg. 2004;62(10):1209-1212.